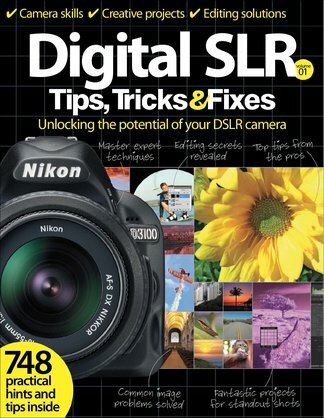 Digital SLR Tips, Tricks & Fixes is packed full of in-depth tutorials and tips for all models of DSLR. This expert guide takes you through every area of photography with practical hints and techniques to help you take even more impressive photos. With Digital SLR Tips, Tricks & Fixes you’ll soon create standout shots and unlock your camera’s true ability. Camera skills - The essential hints to help you master all areas of photography, hone your DSLR techniques and learn more about different photography subjects along the way. Creative projects - Expert guides to photo projects that take you further than day-to-day photo techniques, providing you with some standout shots. From light painting to smoke art, making 3D photos and much more, there's plenty here to invigorate your photography. Photo fixes - Step-by-step solutions to problem images, from correcting colours to post-production cosmetic surgery and adding impact. With these fixes you will learn how to take an average shot and make it truly stand out. Helpdesk - We provide answers to common photo questions, such as how to effectively use white balance settings, tripod techniques, and much more. 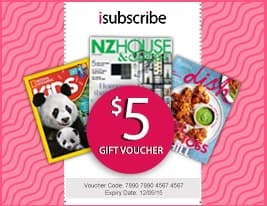 Be the first person to tell us what you think about Digital SLR Tips, Tricks & Fixes and you'll save $5 on your next purchase!